MuscleTech’s latest addition to the Performance Series brings an brand new muscle building supplement to the mix! When it rains, it pours! At least that seems to be the case with MuscleTech this year as we have yet another new addition to the ever-expanding Performance Series with Phospha Muscle. Sounds pretty great for any muscle building supplement, doesn’t it? We briefly touched on the ingredients contained in Phospha Muscle in the previous post, but let’s peel back the label and see what else MT has in store for us. 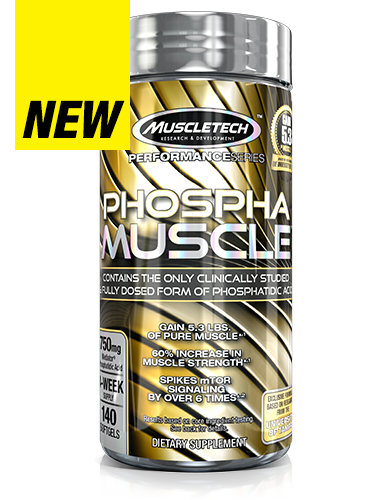 Phospha Muscle contains TWICE the efficacious dosage of PA used in the clinical studies! In the studies, the test subjects were able to gain 5.3 lbs of muscle in just 8 weeks and increased leg strength by 60% in the leg press! Now, this wasn’t “newbie gains” either, the subjects used were resistance-trained individuals, meaning they were already active gym rats before submitting to the training protocols used in the study. Rock star dose (1500mg) here! One very important thing to note here is that the studies used a 750mg dose of PA. 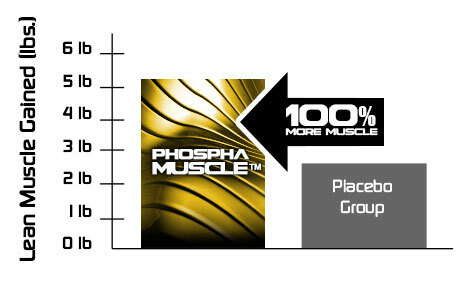 The dosage contained in Phospha Muscle is TWICE the effective dosage! Additionally, this is the first product from the Iovate family that fully discloses the PA content in the product. While others manufactured by Iovate contain at least 750mg of PA, this is the first one confirmed to supply twice the minimum efficacious dose! To support the anabolic benefits of phosphatidic acid in Phospha Muscle, MuscleTech added a hefty dose of tart cherry fruit powder (as Prunus cerasus). 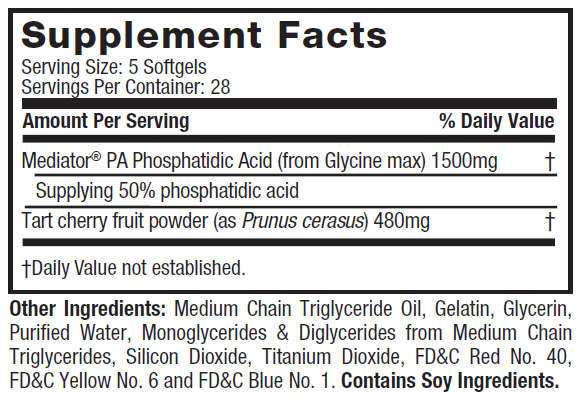 Why would MT choose to include some fruit dust in a mass-gaining supplement? As you’re well aware, any time you exercise, muscle fibers are broken down and in order to repair the damage after your workout, your body will pull amino acids from existing muscle tissue in the absence of a fresh supply of protein. Having tart cherry powder included with Phospha Muscle will help stave off any possible catabolism and help you recover faster for the next day’s workout. Although it’s not available to the masses yet, MuscleTech has sent out some tester bottles to a few members over on the bodybuilding.com forums. Early feedback has several users reporting increases in many of the major lifts and noticeable muscle fullness. Users of Phospha Muscle experienced 5.3 lbs of lean mass gains and a 60% increase in leg press strength! An additional side effect that many have mentioned is the dramatic increase in hunger levels. Now, if you’re in the middle of a bulk and have trouble eating enough, this could be a great supplement to help you cram some more food in. On the other hand, if you’re cutting, this could make thus hunger pangs that much worse. 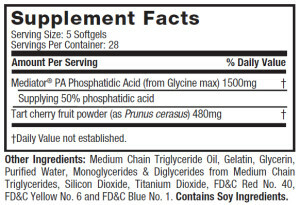 MuscleTech states on the label to take 1 serving (5 softgels) once daily. On workout days, take 30 minutes before training. Do not exceed 5 softgels in a 24-hour period. Head over to our MuscleTech page and click monitor this brand. This will get you new product release info as well as price drop alerts on all MuscleTech products. You can also compare prices and sign up in the widget above and below. 3 Comments | Posted in New Products, Supplement News | Tagged Build Muscle, Iovate, Mediator, Muscle Builders, MuscleTech, Phosphatidic Acid, Pre Workout Supplements, Stimulant-Free Pre Workout Supplements.